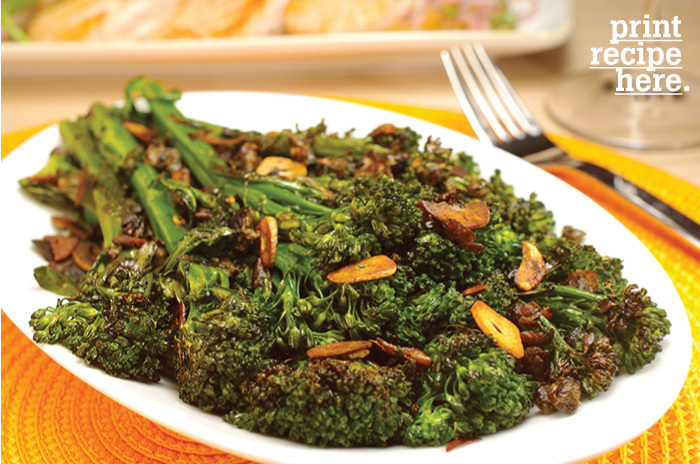 It’s hard to believe so much comes from such a simple recipe, but broccolini with just a few ingredients makes for a salty, savory side with bold flavor. 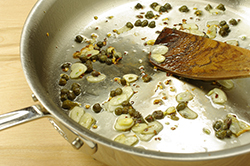 Heat the oil in a large frying pan over high heat until wisps come off the surface. 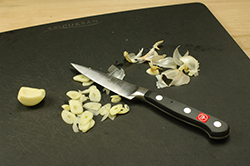 Add the garlic, capers, and red pepper flakes and cook just until fragrant, about 30 seconds. Immediately add the butter and cook until melted and slightly browned. Add the broccolini and a pinch of kosher salt and toss to coat. 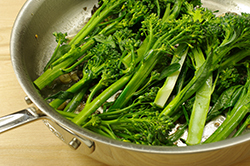 Cover the pan and cook, shaking the pan every 30 seconds so nothing sticks, until the broccolini is charred and knife-tender, 5 to 7 minutes. Carefully remove the cover and add enough water to just coat the bottom of the pan. 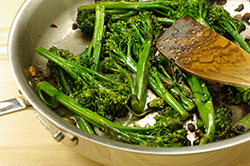 Shake the pan around to coat the broccolini and serve immediately. Takeaway: How to pan-roast a vegetable. 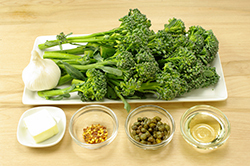 Goes well with: A creamy main or a roasted meat.After washing the broccolini, be sure to dry thoroughly so it can char well. Riff: This same method would work well with broccoli, cauliflower, haricots verts, green beans, or asparagus.